♪ Since inception, Inspirit has held 1,866 performances reaching an audience of over 56,163 at over 90 different locations in Palm Beach County! ♪ 180 performances reaching 4,771 audience members for calendar year 2016 supported by annual budget of $50,000 and three part-time staff positions. 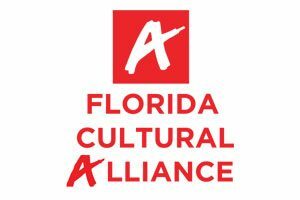 ♪ 2008, 2009 & 2014 Muse Award Nominee from the Palm Beach County Cultural Council for its outstanding achievement in improving the quality of life in Palm Beach County. With a grant from the National Endowment of the Arts, Inspirit arranged for Miami musical artist Nicole Yarling to conduct a workshop at the Palm Beach County Juvenile Detention Center. At first, Ms. Yarling’s outreach was shunned by these young men, all in lockdown. But by day’s end, one had written this beautiful composition. Because of their ages, faces could not be photographed. But the message is powerful. The mission of Inspirit is to bring the joy and healing power of live music and the performing arts to those isolated members of our community who are living in a restricted environment. How often would you like to donate this amount?